In Suit Up, several of your favorite youth speakers share lessons about preparing for a mission based on the scriptural advice contained in Doctrine and Covenants 4. If you're thinking about a mission, if you've already started preparing, or if you've got your call, you'll benefit from the messages and advice in Suit Up. Laurel Christensen Day grew up in California, Kentucky, and Missouri. She attended Brigham Young University, served a mission in California, accidentally graduated from college without a husband, and began her career. Laurel has spent most of that career at Deseret Book Company, working as the Director of Entertainment and then for seven years as the Director of Time Out for Women. During that time, Laurel received a master's degree in Communications Management and is currently the Vice President of Product at Deseret Book. She is the author of several books, including The Faith Experiment, and recently experienced the results of her own little faith experiment, finally finding the love of her life at the age of 40. Laurel and her husband, Stephen Day, were married in the Salt Lake Temple in April 2013. Jennifer Brinkerhoff Platt is currently an assistant visiting faculty member at Brigham Young University and a recent addition to Deseret Book’s Time Out for Women events. A former seminary and institute instructor, she earned a PhD from Arizona State University in lifespan developmental psychology, focusing on women and social issues. She is married to Jed Platt, and the couple lives in Provo, Utah. 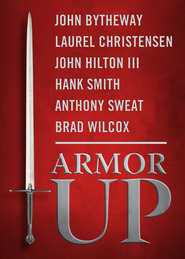 Suit Up is a great read for any perspective missionary, whether they are going to serve a full-time mission or they just want to help spread the gospel! I found many insights into studying the scriptures, sincere prayer, and showing love and serving others. I felt like I could relate to each person who was sharing advice because of their personal experiences. I loved the challenges at the end of each chapter, they were a great way to help prepare now. 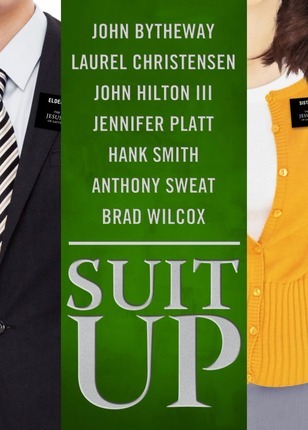 Suit Up is a wonderful way for anyone to gear up to be a better missionary! 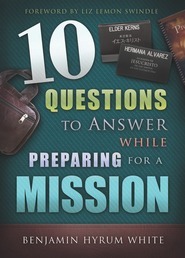 Truly inspiring, these authors share great tips towards being the best missionary you can be! Wonderful resource for youth preparing for a mission. What a wonderful resource for LDS youth preparing for a mission! 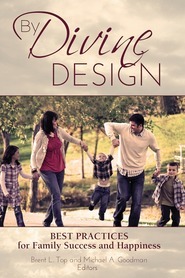 This book contains seven short articles based on section 4 of the Doctrine and Covenants (a book of scripture in the Church of Jesus Christ of Latter-day Saints also known as the LDS or Mormon church). With the recent announcement allowing youth to go on missions at 18 (young men) and 19 (young women) respectively, preparation is more important than ever. Each article provides straightforward counsel about how to prepare to become a servant of the Lord. While it is directed specifically at young people becoming missionaries it also applies beautifully to all who want to serve the Lord. The book covers topics such as hard work, using the Book of Mormon as a vital tool in the conversion process, acting on righteous desires, and developing faith, hope, and charity. Each article also includes a QR code that takes the reader to short videos demonstrating the topics being discussed as well as brief discussions held by the authors with young people preparing to go on missions. Very informative and helpful, I highly recommend this book for both young people preparing to go on a mission and their parents/leaders. There is also much here of benefit to anyone who wants to become a better servant of the Lord. Elder Holland has said "The Lord needs more missionaries and He needs better prepared missionaries." This book will help with that! Each author has taken a verse from the 4th section of the Doctrine and Covenants and expounded upon it. Whether you are preparing for a formal mission or just want to be a better everyday member missionary this book is a wonderful read!